Confirmation of the association of epigenetic modifications has been reported in both A1298C Cand 677T alleles, without a preference for a particular mutation in late onset Alzheimers (AD). 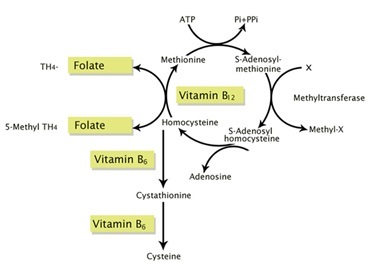 A closely relatated pathogenic factor identified in AD is hyperhomocysteimia, or elevated homocysteine (tHcy) resulting from deficiencies of enzymatic regulating methyl donor B-group vitamin reactions. Elevated homocysteine is an independent vascular risk factor linked to coronary heart disease, peripheral vascular disease, stroke, and small-vessel cerebrovascular disease. Roman GC. MTHFR Gene Mutations: A Potential Marker of Late-Onset Alzheimer’s Disease? J Alzheimers Dis 2015;47(2):323-7.